Mo has a strange and uncontrollable ability: when he reads a text aloud, words come to life in his mouth and things and beings of history emerge as if by magic. On a fateful evening, when Meggie was still a baby, Mo’s enchanted tongue brought to life a few characters from a book called “Inkheart.” One of them is Capricorn, a cruel and unmerciful villain, who made no attempt to go back into the story from where he had come and chose to settle in an abandoned village. From this baleful place, he commands a gang of brutes who spread terror throughout the region, practicing robberies and murders. Capricorn wants to use Mo’s powers to bring from “Inkheart,” a being even more terrible and bloodthirsty than himself. When her henchmen finally abduct Mo, Meggie will have to face these bizarre and suffering creatures, coming from a world completely different from yours. Maybe you remember the film Inkheart, one of the last works of Brendan Fraser before falling into anonymity. Unfortunately I did not get the time to watch the movie and do a book/movie comparison for which I apologize. But from the little that I remember from the film, several concepts of the book are in the film (I hope I’m not wrong). After you finish the first book, and you stop to think about it, Mo’s life is very complicated. After all, as a book lover like him, with a gift equal to his, he cannot read any book out loud. For Mo, the suffering is even greater, due to the past events of the book plot. As I said before, this book is a paradox. 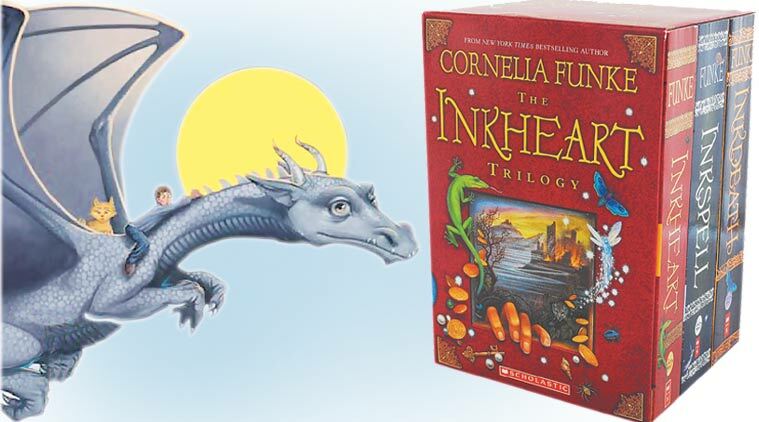 After all, the book we read is called Inkheart, which tells of characters that came out of the fictitious book also called Inkheart. I remember that the first time I watched the movie a few years ago, I really wanted to read Inkheart, but not the one I read and I’m reviewing, but the book from which Mo took Dustfinger. Yes, I thought that book existed. Well, at least the author wrote Inkblood, but that’s a subject for another review. All book lovers should read this book. All the descriptions are impeccable, although the author in certain moments will deliver what will happen in the future of the characters. If I could, I would very much like to hear an Enchanted Language reading anything, as long as I was not pulled into the book in question, of course.